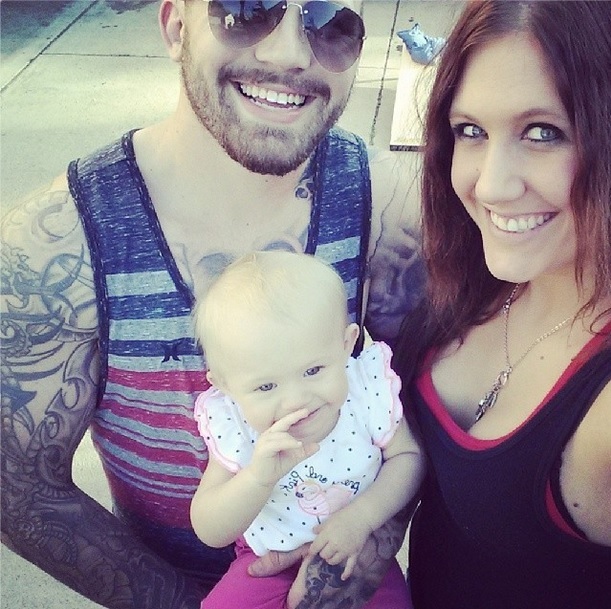 ‘Teen Mom 2’ dad Adam Lind is out of jail and it looks like girlfriend Taylor Halbur is standing by her man even after yet another run in with the law. Adam was recently arrested for driving without a valid driver’s license. He hasn’t been legally able to drive for quite a while now thanks to multiple DUIs. Despite his inability to stay out from behind the wheel Taylor continues to try and make their relationship work. She tweeted on May 21st “Family no matter the situation 🙂” with the photo above. The two seem to be going about life now without showing too much worry about what is going to happen legally with Adam. He’s still in hot water from his recent fiery car wreck, but right now the two are enjoying going to the gym and having family time. Previous Previous post: Is Baby Kaiser Coming Early?